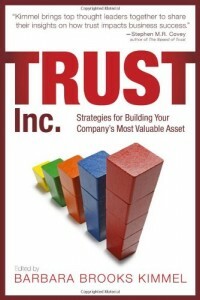 I’ve been reading Trust Agents by Chris Brogan and Julien Smith. I was particularly struck by the way they told Robert Scoble‘s story (a success story, but not usually painted as a trust story). They call Scoble one of the first trust agents ever on the World Wide Web. Though hindsight is 20-20, many people watching Scoble’s moves at the time would have labeled him at best irreverent, irresponsible, and committed to career suicide … at worst a complete idiot. But looking at him through the lens of what it takes to become trustworthy, I’m siding with Brogan and Smith—what he did was brilliant. In 2004, Scoble, then a Microsoft employee, took to blogging about serious issues Microsoft and its end users were experiencing. He even candidly sung the praises of Firefox, Microsoft’s Internet Explorer competitor. Scoble attributes part of this phenomenon to something he learned when he helped run retail stores in the 1980’s. If he told a customer that a competitor had a better selection, they often came back and asked to do business with him anyway, “’cause I like you better.” (Maybe he got it from the Macy’s Santa Claus in Miracle on 34th Street, who recommended competitor Gimbel’s on occasion). One of the reasons trust is so hard to get a grip on is that it’s rife with paradox. For example, the thing we’re most afraid to say or do is precisely what will build the most trust. Or, in Scoble’s case, the best way to generate sales is to have the courage to be brutally honest about your product’s weaknesses and your competitor’s strengths. Here’s the link to golf (pardon the pun): I am not a golfer. To me, the only logical way to get that tiny little ball to travel hundreds of yards off the first tee towards that tiny little cup is to hit it as hard as possible. If you’re a golfer, you just shook your head in dismay because you know what my strategy will yield: a nice left hook into a thick forest of trees. Scoble came to be seen as someone who could be trusted because he knew that building trust is like a golf swing: hype your product and you hook the ball; be honest and land it square on the green. Leaving the golf metaphor behind for a moment, it’s important to remember that motives really do matter. Buyers have a sixth sense for manipulation. Had Scoble been talking trash about his products with the intention of closing deals, his strategy would have backfired. Which leads us to another paradox: the more you try to build trust with the intention of closing deals, the less deals you close. Take a look at your business model. How might the lessons of golf—and Scoble—improve your game? Trust Summit: October 23, New York City Is Recessionary Thinking Killing Off Your Green Shoots? 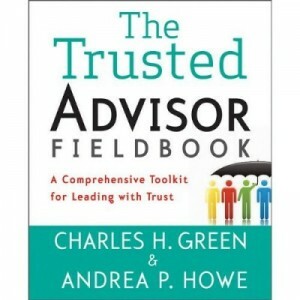 Invitation to an event featuring four thought leaders in trust.